If you’ve been thinking about adding rubber roofing to your existing roofing business offerings, you can’t go wrong with Permaroof training. 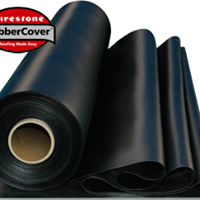 Permaroof EPDM training is offered in both sheet membrane and liquid rubber roofing application. 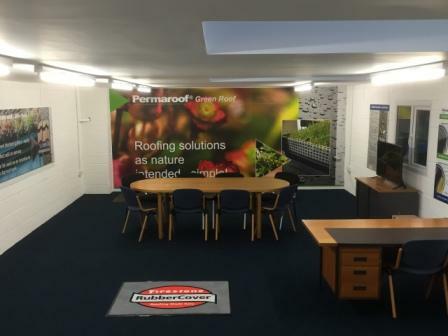 Permaroof is one of the UKs premier licenced importer and distribution centres for Firestone RubberCover and offers accredited, Firestone-approved EPDM rubber roofing training for trade and DIY roofers. Although the application process is straightforward for fitting EPDM rubber roofing systems, industry-recognised training opens up new doors for trade roofing professionals looking to add another string to their bows in their existing businesses or wanting to set up a new rubber roofing business. The one-day, intensive EPDM rubber roofing training courses are packed with demonstrations, include classroom time and also offer plenty of opportunities for participants to take part in practical application of the product. You must have successfully completed a 1-day training course at Permaroof, before you can move on to completing the OSCAR® assessment. Completing the Permaroof Training course makes you a registered Installer, but the optional OSCAR® assessment is based on an NVQ Level 2 Qualification. It involves a further, 1-day assessment and costs an additional £195 plus vat. Application forms can be found in your training pack at the end of the EPDM sheets training day. Visit the EPDM application training page to find out more. Do You Need a Better Emergency Roof Repair Solution? Did You Know About the Permaroof Resource Library?